On stage at Home in Manchester, learning-disabled theatre company Mind the Gap is improvising a scene. It’s based on a scenario the company encountered with infuriating regularity throughout its 28-year history: the difficulty of obtaining genuine feedback. 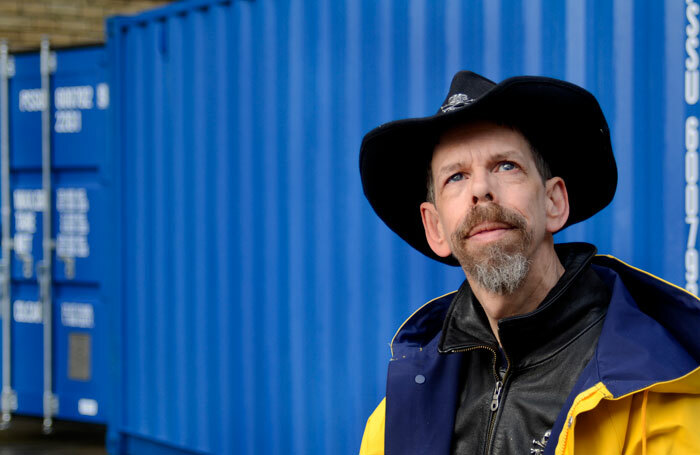 Jez Colborne, a performer and composer with Williams syndrome, whose show Irresistible was a highlight of the 2012 Cultural Olympiad, is playing himself. He is handing out feedback forms after a performance. Daniel Foulds, an actor with autism whose first project as writer-director recently secured £14,000 from Arts Council England, is playing an average theatregoer. “They had a go, that’s what matters,” he says. “I didn’t expect anything. Good to see them doing something.” On the form he writes a cursory ‘It was good’, and beats it before anyone can engage him further. Mind the Gap’s shrewd improvisation is taking place as part of Creative Minds North, the fourth in a series of five groundbreaking arts conferences that will culminate in Birmingham on October 4. 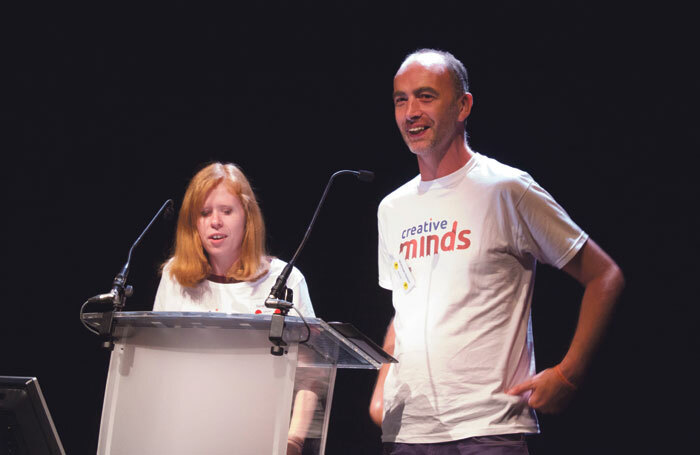 Formed in 2013, Creative Minds is the brainchild of a group of artists with learning disabilities who were “fed up of not being taken seriously”. They felt ignored by the wider arts world. They saw their creativity being dismissed as advocacy or therapy. They noticed critics were increasingly engaging with the work of artists with physical disabilities, but not with their own. So they demanded a national conversation about artistic value, leadership and inclusion – preferably one in which no one used the words ‘inspirational’ or ‘refreshing’. Over the past four years, Creative Minds has invited companies, programmers, funders, academics and journalists to discuss some thorny questions: How should we critique learning-disabled arts? What do we mean by ‘professional’? How can these artists best be supported? Most interestingly and provocatively: do learning-disabled artists bring something to the arts that you wouldn’t otherwise see? It has not been an easy conversation. For one thing, it’s complicated by the grouping together of artists with diverse disabilities, working in different art forms, with varying levels of engagement and talent. But, gradually and persistently, Creative Minds has helped budge the debate from access to aesthetics. For the first time, this particular conference has been entirely devised and delivered by the artists themselves. The point isn’t simply that people with learning disabilities are missing out on art, though that’s still a big issue – it’s that art is missing out on them. Plenty has happened in the field of learning-disability arts since the first Creative Minds conference in 2014. The National Youth Dance Company has taken on its first dancer with learning disabilities, George Williams. Last year, the Royal Shakespeare Company cast Nicky Priest, who has Asperger’s syndrome, in The Seven Acts of Mercy. This spring, Welsh company Hijinx launched a casting agency for actors with learning difficulties, while the Hackney-based Access All Areas will soon relaunch its tailor-made Performance Making diploma with the Royal Central School of Speech and Drama. Academics are also getting fired up. Matt Hargraves’ Theatres of Learning Disability: Good, Bad, Or Plain Ugly? is the first serious academic book to engage with learning-disabled theatre as theatre, rather than therapy. But the success stories often have flip sides. Sarah Gordy is an actor with Down’s syndrome who played Lady Pamela Holland in the BBC’s Upstairs Downstairs. She used her presentation at Creative Minds North to call for more “non-issue roles”. Gordy was stopped in the supermarket by a fan who also has a learning disability. “You were brilliant on TV yesterday,” he said. “But you don’t do us any favours. Your characters are always sad and vulnerable.” She thinks he was right, “but I don’t rule the world”. One increasingly feasible answer is for artists with learning difficulties to make their own work. The other speaker at Creative Minds North is Colborne. He has played many classic roles for Mind the Gap, including Henry Higgins in Pygmalion and Cyrano de Bergerac. But he ushered in a seachange with his 2012 Unlimited commission Irresistible, a site-sensitive piece inspired by his fascination with warning sirens. Now other Mind the Gap actors are being supported to “do their own things”. Paul Wilshaw has been on residency developing a semi-autobiographical piece about mental health and bullying. Does he think there is a (mis)perception of vulnerability when it comes to artists with learning disabilities? Do we question their capacity to cope within a notoriously tough industry? 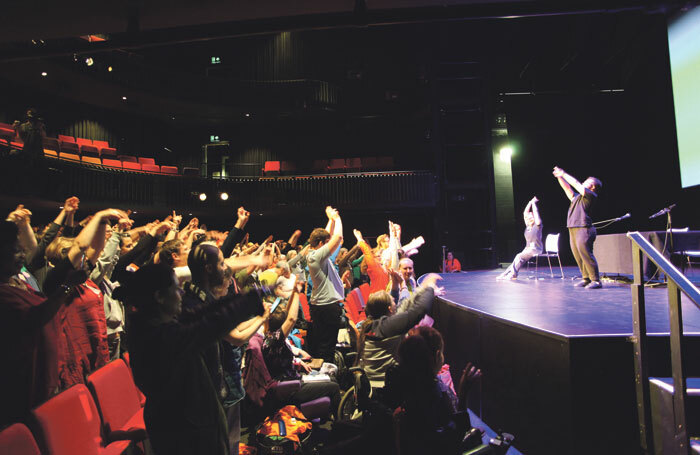 Now a national portfolio organisation, this Hackney theatre company will relaunch its award-winning diploma for learning-disabled artists at Royal Central School of Speech and Drama, and is working on an immersive 2018 show, Madhouse Re:exit, supported by the Barbican and Dreamthinkspeak. 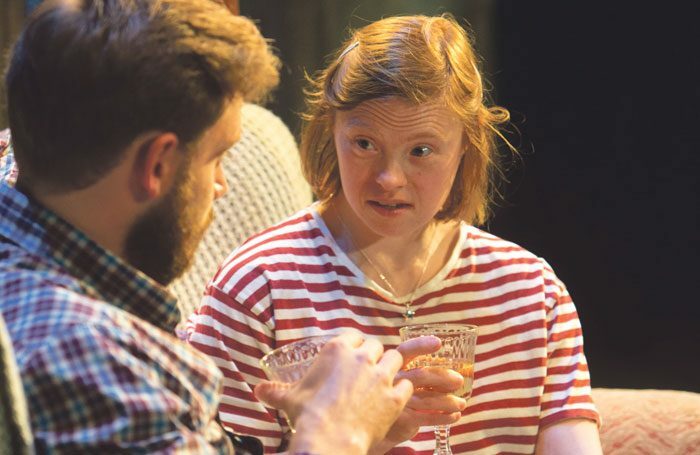 The UK’s largest learning-disabled theatre company has a purpose-built studio in Bradford, runs its own academy, and will visit this year’s Edinburgh Fringe with Mia, a show about learning disability and parenthood. A Galway-based ensemble of learning-disabled actors that recently turned its original play, the boundary-breaking romantic comedy Sanctuary, into a multi-award-winning feature film. The Welsh inclusive theatre company collaborated with leading puppeteers Blind Summit for its recent show Meet Fred, which was an Edinburgh Fringe sell-out. This learning-disabled dance company from Oxford has performed at Sadler’s Wells and the Royal Opera House in London, and will tour Genius, a double-bill choreographed by Lea Anderson and Gary Clarke, this autumn. Barriers remain to artists with learning disabilities being “taken seriously”. One is the benefits system, which makes it problematic for many to receive payment. Another is the lagging attitude of parts of the private funding sector. One Creative Minds delegate identifies an ‘ah bless’ factor: to persuade funders, organisations may find themselves having to talk about this work as welfare rather than as art. On the other hand, we are sometimes in danger of idealising the raw, unaffected talent of artists with learning difficulties at the expense of skilling them up for a long industry career. The ‘inspirational’ comment is increasingly being replaced with ‘authentic’. Richard Hayhow once ran acclaimed learning-disabled acting troupe the Shysters. Looking around the foyer at Creative Minds North, he tells me he has been working in this field for half his life – so where are all the performers with learning disabilities? Shouldn’t there be more by now? Hayhow’s company, Open Theatre, is now a national portfolio organisation. It supports career progression routes for young people with learning disabilities and aims to “raise the bar from participation to professionalisation”. Open Theatre is the lead partner on Creative Minds Midlands, the final conference in the series, which is being devised by a group of young people with learning difficulties. They want to be everything from actors to creative enablers. For once, the future of artists with learning disabilities feels as if it’s in their own hands. Creative Minds Midlands: A Better Generation takes place at Mac Birmingham on October 4.